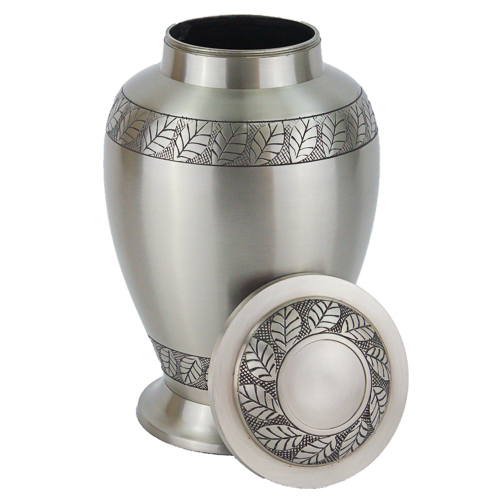 The Pewter Leaves Brass Urn is a distinctive footed cremation urn for ashes, featuring lovely engraved bands of leaves on the body and lid of the urn. 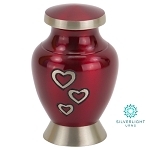 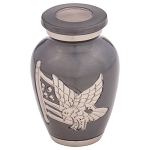 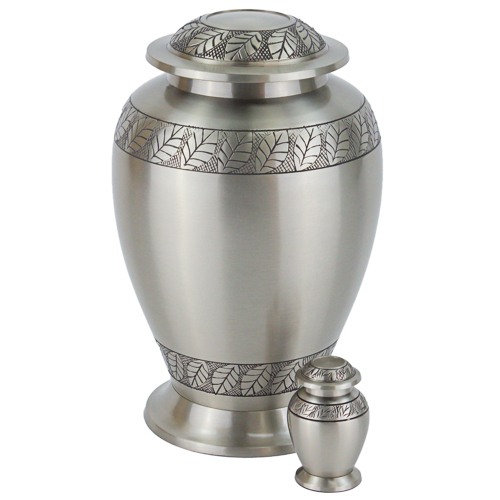 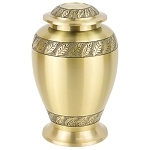 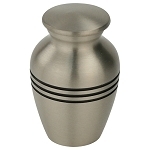 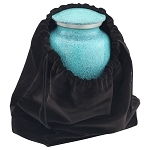 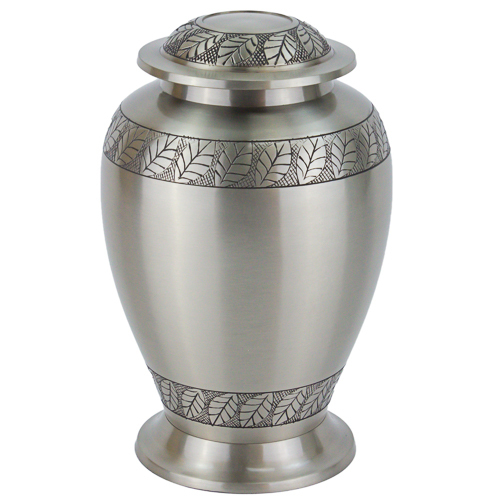 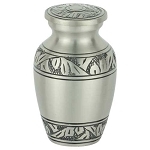 It is finished in brushed pewter, giving this cremation urn an elegant and eye-catching appearance. 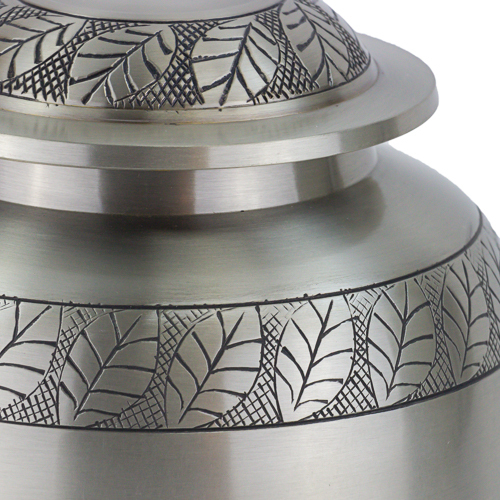 The beautifully-engraved leaves on this urn are reminiscent of memorial wreaths, which are used to represent eternal life and peace. 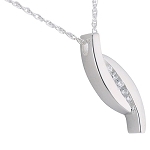 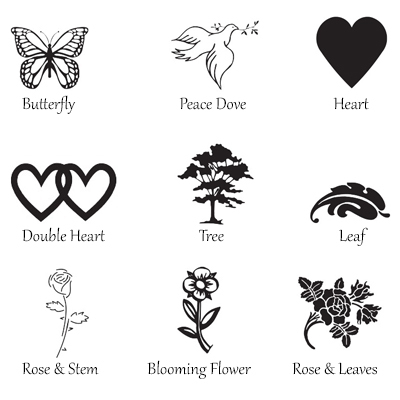 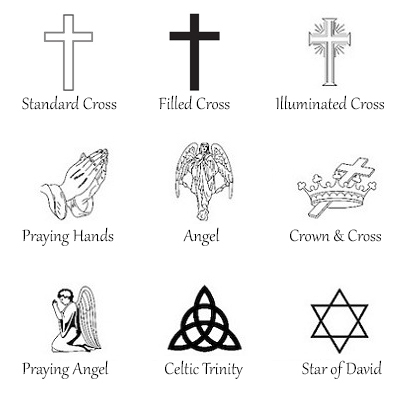 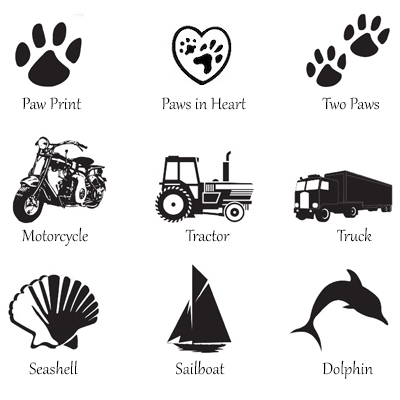 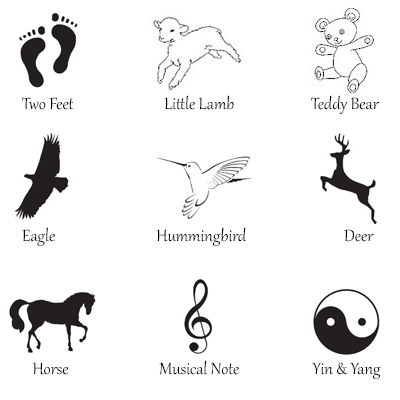 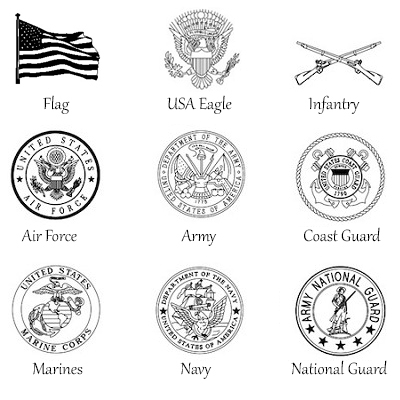 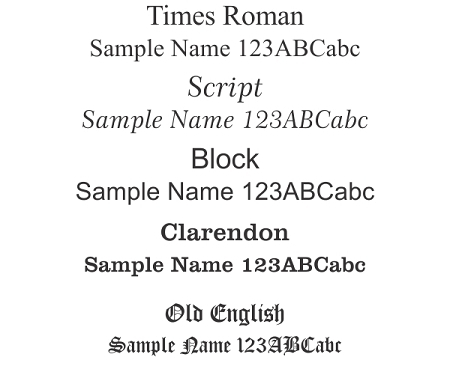 This symbol may bring you comfort as you pay tribute to the life a loved one. 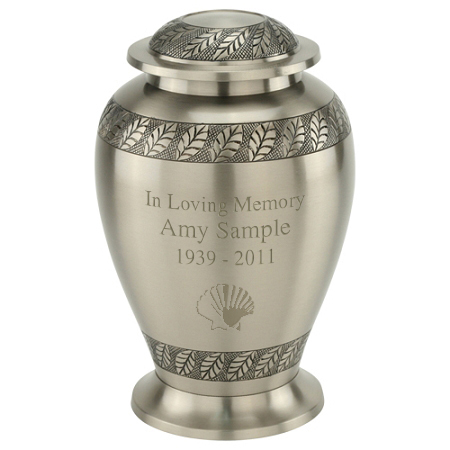 The Pewter Leaves Brass Urn is an attractive cremation urn for ashes, featuring a lovely brushed pewter finish and bands of engraved leaves on the body and lid of the urn.